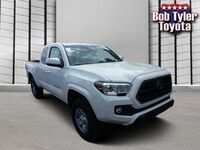 Offering plenty of power in a practical package, the 2019 Toyota Tacoma is one midsize pickup truck you won’t want to pass by! 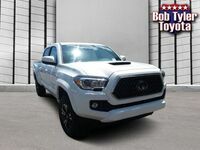 Learn more about this impressive vehicle here at Bob Tyler Toyota in Pensacola, FL. 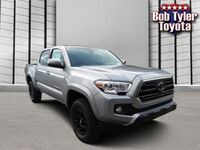 Adventure seekers will find that the 2019 Toyota Tacoma TRD Pro is one of the few vehicles that can keep up. Offering excellent off-road capability, drivers of this versatile truck aren’t limited by roads. 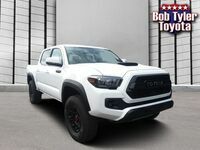 This impressive package adds several elements to the Tacoma including a TRD Pro Desert Air Intake, TRD Pro skid plate, unique “TOYOTA” front grille, TRD-tuned FOX® Internal Bypass shocks, Rigid Industries® LED fog lights, and more! 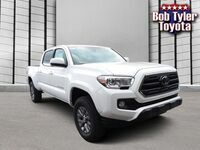 The 2019 Tacoma is available with a 3.5-liter V6 direct-injection engine that is capable of producing up to 278 horsepower and 265 lb-ft of torque. With this impressive configuration, the Tacoma is capable of towing a maximum capacity of 6,400 lbs. The practical pickup truck also offers extra versatility with its strong truck bed, which is able to offer a payload capacity of up to 1,175 lbs. 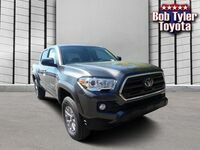 The new 2019 Toyota Tacoma comes standard with the Toyota Safety Sense P package, which offers a variety of active safety features to support driver awareness and cut down reaction times. Some of its highlight features include: Pre-collision system with pedestrian detection, lane departure alert with sway warning system, automatic high beams, dynamic radar cruise control and more! 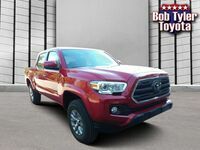 Reserve a Test Drive at Bob Tyler Toyota! 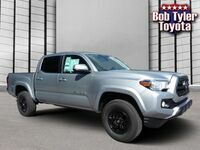 If you’re interested in getting behind the wheel of the 2019 Toyota Tacoma as soon as it arrives on our lot here at Bob Tyler Toyota, be sure to let us know! 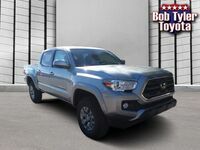 Simply give us a call or fill out the form above on this page and we’ll be happy to keep you posted about the new Tacoma and its availability here at Bob Tyler Toyota. That way, you can be among the first in the Pensacola area to take it out for a spin!